"I had never noticed Lucas before that night. It was as though he didn't exist, and then suddenly, he was everywhere." Two brothers and their wives meet at a fancy restaurant. What appears to be a friendly dinner amongst relatives is really a life-threatening meeting to discuss fate. 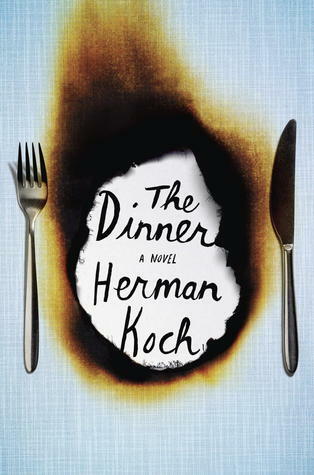 The Dinner is a gripping tale that unfolds in the viewpoint of one narrator, the father of a fifteen-year-old boy who was involved in a horrific act that has triggered a police investigation, jeopardized a political campaign, and shattered trust within a family. Think about your first visit to a fancy restaurant. You dress up nice. Show up early to your reservation. The ambiance is set. You browse the menu (that you secretly looked up online earlier). You place your order. This is how I feel about The Dinner. The story moves along like the courses of a well-prepared meal: Aperitif, Appetizer, Main Course, Dessert, Digestif. But it was like the fancy restaurant experience that I described above. All hype, then a let down. Sure, the book was a page-turner but only because I kept reading hoping to reach the good part. Hoping the long-winded narrator would get on with the story already! Hoping I will understand why The Wall Street Journal called it the "European Gone Girl." Waiting for the dark suspense to lead somewhere. Anxious to see where the clues led. I read the last word in the book and thought, "That's it? Oh." Yet The Dinner left me with a good lasting impression. 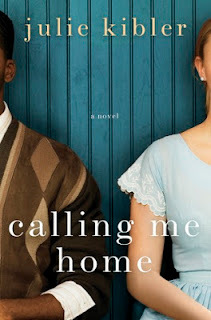 Today's first comparison is Calling Me Home by Julie Kibler. The US cover shows a black man and white woman sitting next to each other. They are close but not touching. 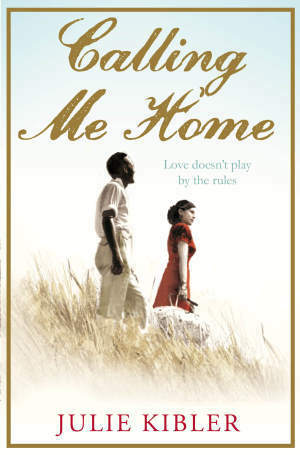 The UK cover shows a black man and white woman walking in a field. 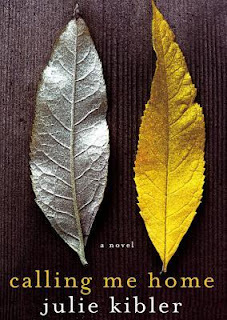 The audio version of the cover shows two feathers: one silver, one gold. All three of the covers are plain but the US cover captures the essence of the story. Today's second comparison is S.E.C.R.E.T. by L. Marie Adeline. The covers are very similar with the book title in big capital letters and the author's name in capital letters toward the bottom. The difference in covers is the background color and charm bracelet. 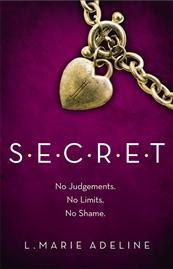 I prefer the UK cover because it includes the S.E.C.R.E.T. motto: No Judgments. No Limits. No Shame. 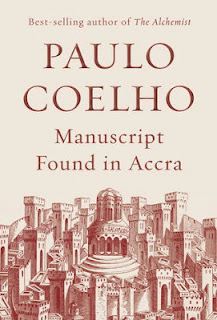 Today's third comparison is Manuscript Found in Accra by Paulo Coelho. 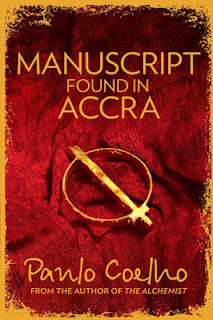 The US cover has a light maroon background with the landscape of Jerusalem. 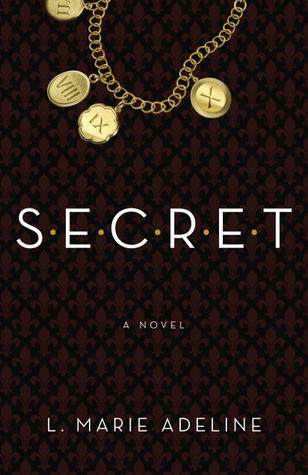 The UK cover is bolder with a red background, gold trim and a gold object in the center. There is no question here. 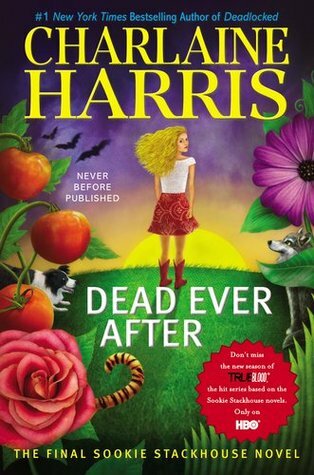 I really like the US cover more. It looks better on the bookshelf and shows the setting of the book. 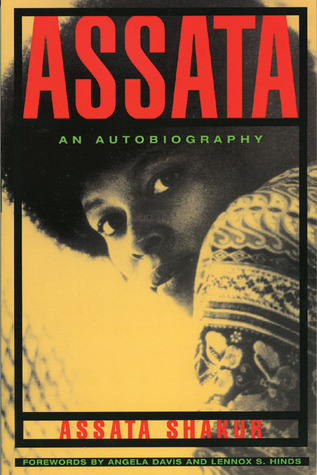 Quotes from Assata "She Who Struggles" Shakur "The Thankful"
Instead of writing a full review on Assata Shakur's autobiography, I am sharing a few quotes from the book. Think about the meaning of her words. Welcome to Literary Marie's Precision Reviews. Today we have a special guest post from Tyrone M. Eddins Jr., author of the City High series and CEO & Founder of Scripted Visions Publishing Group. "For the Love of Crime and Violence..."
Who doesn’t love a good crime thriller? Well, I will be the first to admit that there isn’t much that I love more than to dive headfirst into a story about a gruesome crime that will keep me guessing and on the edge of my seat until the very end. Whether it’s a book, movie, or TV show, a crime thriller is always my choice for storytelling entertainment. In fact, being a man that also enjoys good food, I can equate a well-crafted crime thriller to a delicious four-course meal at a five-star restaurant. Perfectly prepared and cooked by a Master Chef, stories about crime and violence make for some of the most delicious literary and cinematic meals around with each course of the meal served in thrilling fashion. Maybe it’s the grisly allure of the macabre that draws us to the crime thriller genre and allows it grab on tight without letting go? Who knows? But whatever it is, so many of us enjoy great stories that revolve around an unspeakable crime and contain plenty of violence. From an entertainment point of view, crime and violence go hand in hand like burgers and fries, apple pie and ice cream, spaghetti and meatballs. Throughout history, people have been writing about crime and violence for about as long as it’s been occurring in real life. Detailed accounts of criminal escapades and acts of violence have been recorded in every form from no-nonsense non-fiction to sensationalized works of fiction based on real life events and people. Whether they want to admit it or not, people love crime and violence…so long as it’s not happening to them, of course. It’s like a drug. A morbid, but enjoyable obsession that provides a unique high. Take a second to think about what stories usually headline the news shows and newspapers. It’s usually something to do with crime and violence. And as much as we shake our head and say “mm-mm-mm” while wanting to turn away, change the channel or put the newspaper down…we just can’t. We have to know what happened and even the newscaster’s warning that “the following may not be appropriate for all audiences,” doesn’t deter us. Instead, it only serves to fuel our fascination and cause us to turn up the volume on the TV, shush the kids, and scoot closer. Yes, I’m guilty of it too…this strange love for crime and violence. It entertains and it sells. Having been on both sides of the Crime & Violence coin, as both a reader and a writer, I can tell you that there is nothing like it. No substitute for this guilty pleasure. It’s this twisted attraction that inspired my debut novel, BAD INTENTIONS, Book One of the CITY HIGH Series. As a writer, one of the first cardinal rules I learned was: “write what you read,” and I routinely gorge myself on the crime thrillers. Can’t get enough of it. Books, movies, and TV shows. 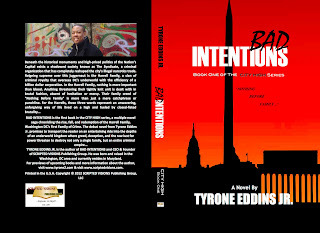 BAD INTENTIONS is book one of the CITY HIGH series, a multiple novel saga chronicling the rise, fall and redemption of the Harrell Family. 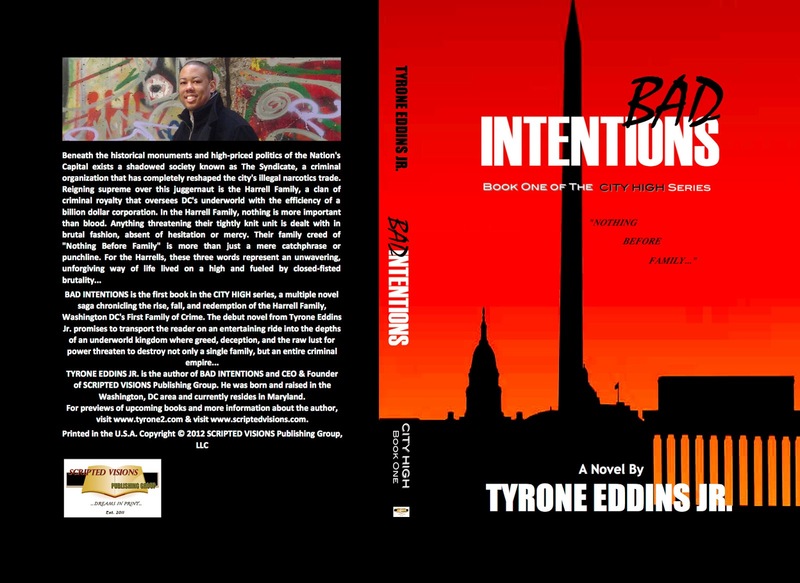 The debut novel from Tyrone Eddins Jr. promises to transport the reader on an entertaining ride into the depths of an underworld kingdom where greed, deception and the raw lust for power threaten to destroy not just a single man, but an entire empire. 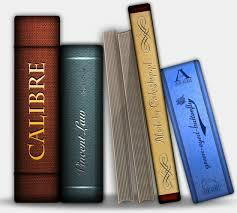 Calibre is an awesome free program for eBook management. And it's multi-platform! You can add or get eBooks, edit the metadata, convert eBook formats, read eBooks and even fetch news! Yes, you can download news from the internet and convert it to eBook format. Another great feature is that it syncs to your eReader making it convenient to add/remove files on your device. Once eBooks have been added to your Calibre library, it automatically sorts books by Authors, Languages, Series Name, Formats (epub, mobi, pdf, etc. ), Publishers, Rating and Tags. Searching for a particular eBook among hundreds in your library is so much easier now! Maybe you were like me and figured you didn't need an eBook management program. But bookhearts, let me tell you. If you've heard of it but never downloaded, do me a favor. Click here to open Calibre in a new browser window, watch the demo, then download it on your computer or laptop. Now. Go ahead...I'll wait. "Waitresses are adept at reading body language. So are wives who've lived under the same roof as angry drunks. And I had been both, a wife for fourteen years and a waitress for almost four." Elle ~ The Stars Come Out For Adele - Women in Music! US Weekly ~ Kim Kardashian: You Call This Fat? My Series Sunday pick is A House Divided, the tenth installment of the Reverend Curtis Black series by Kimberla Lawson Roby. Eighteen-year-old Matthew and his girlfriend Racquel are expecting their first baby together. Even though his parents, Reverend Curtis and First Lady Charlotte, are disappointed in their son's life choices, they are excited and ready for the arrival of their first grandchild. But getting along with the in-laws is difficult. Charlotte cannot stand Racquel's mother and the feeling is mutual. When their tension explodes into a physical altercation, Racquel goes into premature labor because of the stress. Of course, Charlotte is the one everyone blames. Meanwhile Curtis is confronted by a mysterious person from his past. Cryptic phone calls and threatening letters start rolling in. Whatever the secret is, he cannot afford to let it become public information. 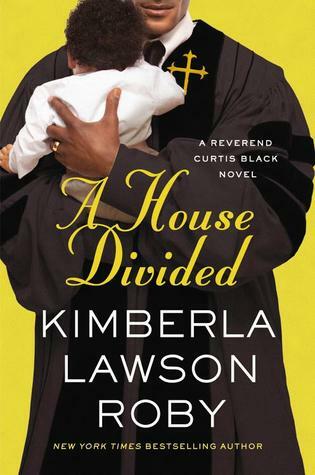 If you've kept up-to-date on the Reverend Curtis Black series, you expect this latest installment to be full of drama, scandal and twists. Well you will not be disappointed. There were a few moments where my jaw literally dropped while reading. I didn't think this family had more scandalous skeletons in the closet but behold, they came falling out in A House Divided. The novel is fast-paced. I felt like I was on a train ride going full speed while reading. I buckled up at the first page and held on to the seat until the last page. Well written, Kimberla. Themes: Greed, lust, hedonism, corruption, freedom and social classes are explored. These themes are as prominent today as they were in the Jazz Age. Movie Adaptation: I always like to read the book before watching the movie adaptation to see how it measures up. I have high hopes for Baz Lurhmann's film with a soundtrack produced by Jay-Z. Summer Setting: The book takes place in a hot humid summer. Pool and lawn parties. Sundresses. Sailing boats. There is no better book to ring in the warmer seasons. 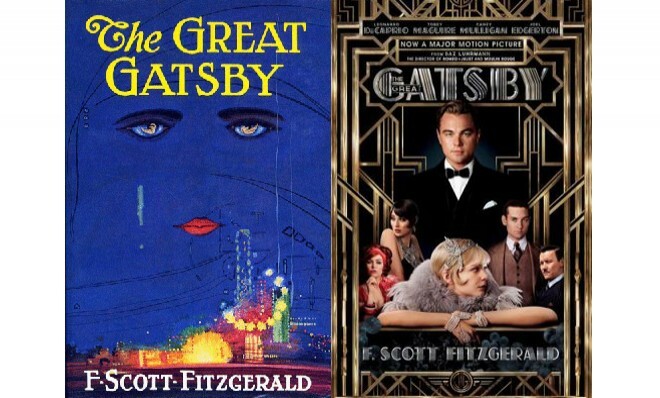 Read with Eyes & Mind of a Bibliophile: When I read The Great Gatsby before, I just wanted to finish so I could write my book report and turn in the assignment on time. But now as a matured reader, I can appreciate the character development, understand the plot and be affected by the tragic ending. This classic deserves to be a great American novel. My official opinion of Baz Luhrmann's movie is two hearts up. I liked it. I enjoy the soundtrack and will likely play it all summer. Leo is a great actor in any role and he played Jay Gatsby well. The main character, Nick, was played by an actor I am not familiar with, but he held his own. The story was...well...like the classic book. But to see the costumes and Roaring Twenties/Jazz Age style was what I liked best. Ain't no party like a 3D Gatsby party! Prince. 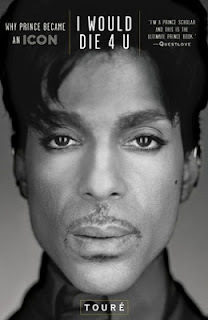 The Symbol Formerly Known as Prince. The Purple Rain god. The Creator of Sexual/Spiritual Music. Journalist and TV personality Touré uses in-depth research and interviews with former girlfriends, band members, and musicologists to decipher Prince's music and its influence on Generation X.
I Would Die 4 U: Why Prince Became an Icon is not a tell-all or biography. It is best defined as an unauthorized analysis of Prince and his music through research. My Series Sunday pick is Dead Ever After, the final book in the Sookie Stackhouse/True Blood series by Charlaine Harris. 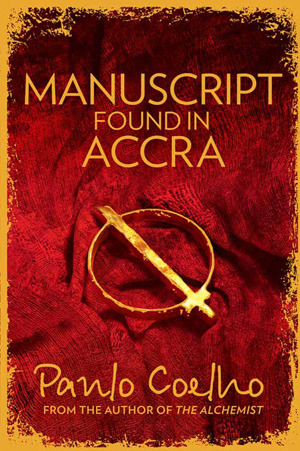 This book marks the end of the popular series and was just published on May 7. But don't worry, True Blood fans! The TV series spawned from the book series will not end. And as a bonus to fans, After Dead: What Came Next in the World of Sookie Stackhouse will release on October 29.
Who is Zelda Fitzgerald? Born Zelda Sayre in Montgomery, Alabama in July 1900, she was an American novelist and 1920s icon. 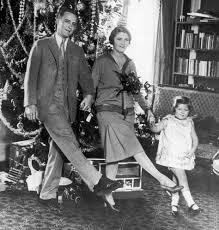 The wife of F. Scott Fitzgerald was nicknamed "the first American Flapper." She was the other half of the famous Jazz Age/Roaring Twenties celebrity couple. On the outside, the Fitzgeralds' marriage seemed golden. But behind doors, it was full of the harsh realities of alcoholism, lost identities, mental illness, infidelity and literary rivalry. The beautiful southern belle first met Scott in 1918. They fell in love hard and fast. After F. Scott sold his first novel, This Side of Paradise, to Scribner's Zelda boarded a train north and married him. Their life became a wild train ride. From New York to Hollywood to Paris, the legendary couple lived a glamorous, yet doomed life. But married life for the famous miscreants wasn't always glamorous "Gatsby-like" parties, bottomless champagne, tuxedos and sparkling gowns. Real life kicked in and along with it, conflict between the Fitzgeralds. Women's roles in marriage was quite different than modern-day. But even then, Zelda had a tough time adjusting to being a dedicated housewife and not a career woman. Zelda was among the first to read F. Scott Fitzgerald's writing. But did you know she was often the author behind articles with only F. Scott's Fitzgerald's name in the byline? This is just one of the many things told in this novel. Author Therese Anne Fowler tells Zelda Fitzgerald's story the way Zelda herself might have told it. It is evident through the novel that the author has respect and affection for both Scott and Zelda. If you are a writer, you know that fiction is based on real people. Z takes readers on an imaginary journey through Zelda's life and thoughts. In the Acknowledgments, the author says this novel is an attempt to imagine what it was like to be Zelda Sayre Fitzgerald. The research is evident in passages that reflect known facts of the Fitzgeralds. 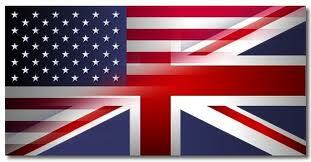 Yet it has a personal spin to it that newspapers, media and gathered correspondence could not portray. Well done, Therese Anne Fowler. Well done. Because facts are woven into imagination through words, there were moments where the story seemed to drag. However, it was often the case where back story was necessary to continue into the future of the plot. 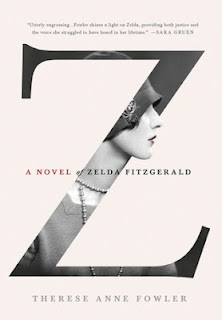 Z is an exceptional novel to read, especially while re-reading The Great Gatsby or watching the new movie which releases this Friday, May 10. Z is 380 pages of fiction based on reality that any Fitzgerald or classic literature fan will enjoy. When asked why I don't have children yet, my answer is always "I can barely take care of myself." 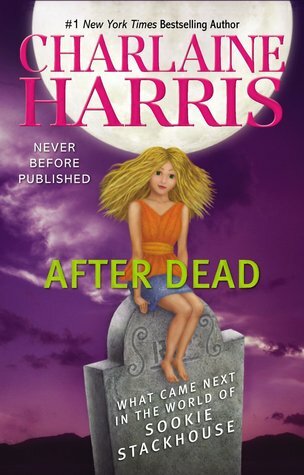 So when I saw this title and read a blurb of this book, I knew immediately that I had to read it. I already knew the author and I had a connection. I would "get" whatever Jen Kirkman was trying to say. 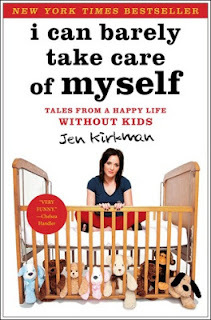 I Can Barely Take Care of Myself is a hilarious original debut from television writer and stand-up comedian Jen Kirkman. You may recognize her from regular appearances on Chelsea Lately and After Lately. Her first published book is comprised of funny detailed stories of her real life without kids. 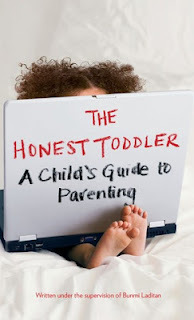 This book is recommended to any woman who is child-free by choice. (Put your hands up!) This book should be read if you've ever rolled your eyes when asked, "But who will take care of you when you get old?" It is especially for those who sarcastically thanked every person who said, "But you'd be such a good mom!" (Or am I the only person who had such reactions to these questions/comments?) This book is not just for other women who choose to live child-free. It is for anyone whose life decisions have been questioned. Author/comedian Jen Kirkman dedicated this book to her parents for "being so overprotective that I never got pregnant as a teenager." Although my parents were not overprotective, I thank them for being so trusting that I never got pregnant as a teenager and could therefore enjoy this funny good read. Check out Jen Kirkman's appearance on The Tonight Show with Jay Leno below. Then grab a copy of I Can Barely Take Care of Myself. Read it, relate to it, laugh through it. I Never Had it Made is Robinson's own candid, hard-hitting account of what it took to become the first black man in history to play in the major leagues. Read the book and watch the movie 42. I saw the movie yesterday with my Dad—a big baseball fan who also played baseball. We both enjoyed the film of how Jackie Robinson broke the racial barrier and changed sports forever. If you haven't seen 42 yet, go see it! The trailer is below. Brooklyn Dodgers, we go hard!